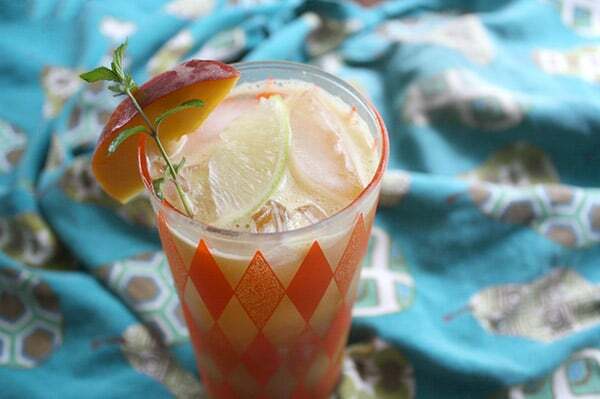 This Jalapeno-Mint Peach Mojito recipe is a little bit sweet and a little bit spicy. It’s basically a frosty glassful of summer. 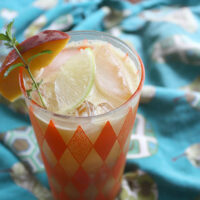 No Week of Peaches would be complete around here without a peach cocktail! This is the peach mojito recipe that I had planned from the get-go, before my fridge was miraculously overrun with delicious South Carolina peaches from Watsonia Farms. This Week of Peaches has been a blast. I don’t tend to splurge on a lot of fruit, and it’s been a treat having a fridge full of peaches to snack on and to seed Darrol Henry. This kid is a peach addict! 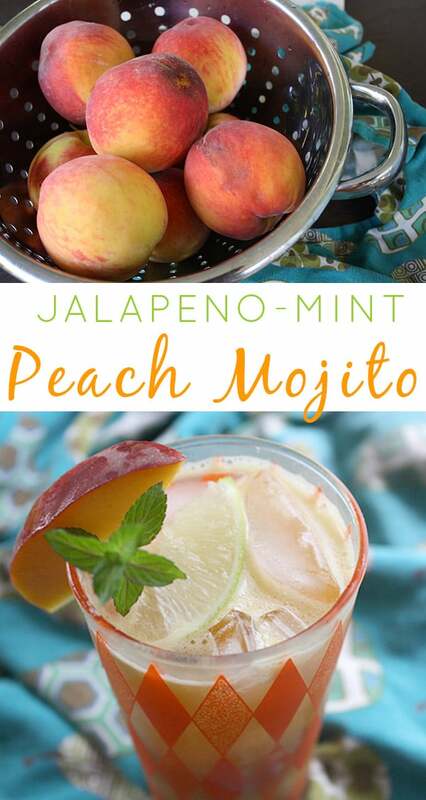 What I love about this peach mojito recipe is that not only are the peaches from nearby, but the basil and jalapeno are hyperlocal. They came straight from our backyard! If spicy drinks aren’t your thing, you can omit or reduce the jalapeno in the recipe below. I know that spice isn’t for everyone. If you do omit the jalapeno, I’d either omit or at least halve the amount of sugar you use, since the sugar is really there to offset the hot pepper. 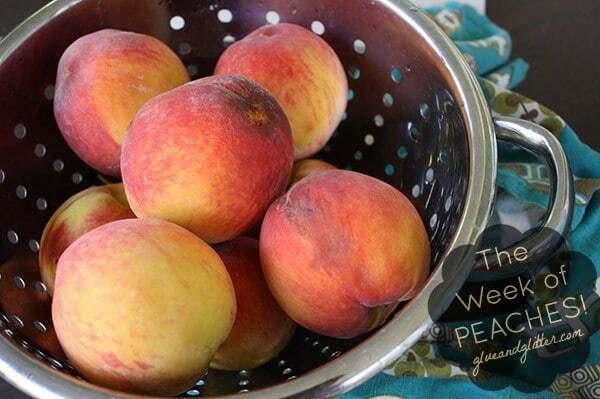 Blanch the peaches: Fill a pot with water and bring it to a boil. Add the peaches and boil for 2 minutes, then immediately dump them into a colander and rinse with cold water. When the peaches are cool enough to handle, remove the skin. Blanching makes this super easy. Just pull it right off and toss it into the compost. Halve the peaches and remove the pits, then toss everything but the peach pits into your blender. Puree until smooth, then strain into a mason jar to store. Combine the 1/4 cup of puree and the rum in the bottom of a tall glass, and stir well. Top off your glass with ice, then top off again with soda water. Stir before adding your garnishes and serving. Thanks for sharing at the Potluck, Becky! I want a big glass of this while I sit in my hammock on the back porch!